We Had a Great Time at Expo West 2019! 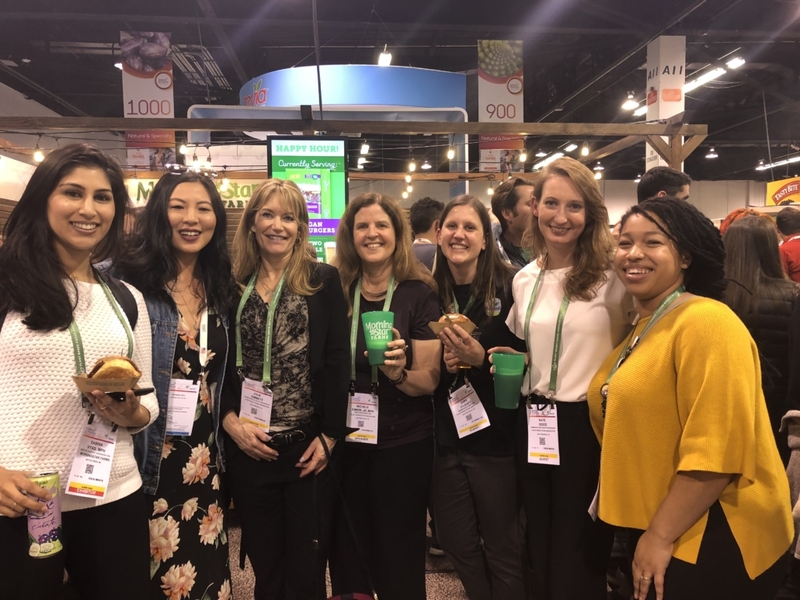 The entire PBFA staff descended upon Anaheim earlier this month for our third year at Natural Products Expo West, where it seemed that plant-based foods dominated the show! 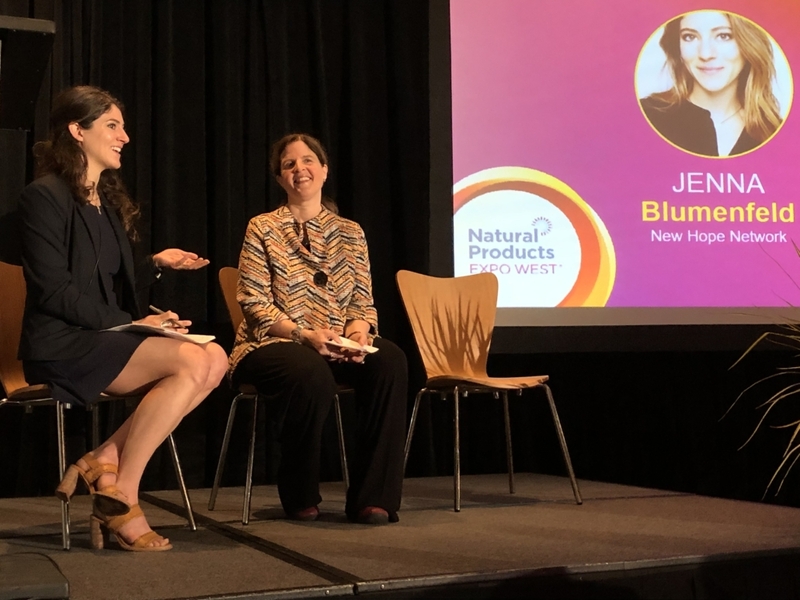 Our Executive Director Michele Simon discussed policy updates related to plant-based foods with New Hope Network Senior Editor Jenna Blumenfeld during the “Growing the Plant-Based Market” session. Membership Director Sara O’Leary teamed up with our Program Coordinator Ciara LaChaux to visit with 60 (yes 60!) of our members who were exhibiting, along with many “future members.” Our new Communications and Marketing Manager Kate Good conducted fun social media interviews with several members. Our Senior Director of Retail Partnerships Julie Emmett attended one-on-one meetings to further our efforts in retail. She also attended Kroger’s Town Hall meeting as well as their 84.51° Information Share Session. Kroger provided insight into their Natural & Organic platforms and strategies, specifically naming plant-based foods as a top priority. Director of Strategic Partnerships Sabina Vyas also met with numerous members along with our chef consultant to discuss an exciting new food service program. It was a busy and exciting time for the whole team at the show! We also hosted a very packed Happy Hour for our members and friends in the plant-based foods community, graciously hosted by MorningStar Farms. The event provided a tremendous opportunity for PBFA members, investors, chefs, journalists, bloggers, and influencers such as Tabitha Brown and Leilani Münter and many more to network and enjoy delicious food and beer. Thanks to our incredible co-sponsors MorningStar Farms and Express Trade Capital and a big thank you to everyone who made this special event possible and all our members and supporters who attended! https://plantbasedfoods.org/wp-content/uploads/2016/03/PBFALogo.png 0 0 Michele Simon https://plantbasedfoods.org/wp-content/uploads/2016/03/PBFALogo.png Michele Simon2019-03-20 18:42:132019-03-27 21:28:55We Had a Great Time at Expo West 2019!